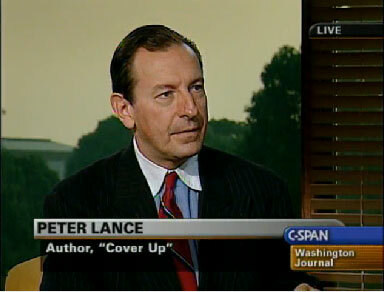 Mr. Lance talked about his book Cover Up: What the Government Is Still Hiding About the War on Terror, published by Regan Books. The book focuses on information missed by the September 11 Commission and the Bush administration in its investigations of the September 11, 2001 terrorist attacks. He also spoke about potential conflicts of interest of some September 11 Commission members and staff with the agencies they were investigating. He responded to audience telephone calls, faxes, and electronic mail.